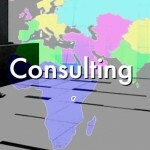 The Armstrong Group Strategic Corporate Consulting Group serves our corporate clients by effectively combining all of our company’s leading-edge services under one umbrella. The group specializes in creating customized, fully-integrated programs to meet short- and long-term real estate objectives. It is a valuable resource for clients who may not have in-house real estate expertise, or for those who do but want the additional benefits of objective and highly reliable third-party expertise. Our team approach ensures the seamless delivery of services to maximize value while planning for future growth and expansion.